A great way to curb your nutella cravings without eating the entire jar! Mash the banana and then stir in the oats, instant coffee powder, coconut flour and hazelnut butter. It should resemble the consistency of sticky dough. If the mixture is too dry, add more hazelnut butter. If you're unable to roll the mixture into balls, add more coconut flour. Roll into 11 balls & microwave for 1 minute (trust me). Let the balls cool & place in the freezer for 30 minutes. 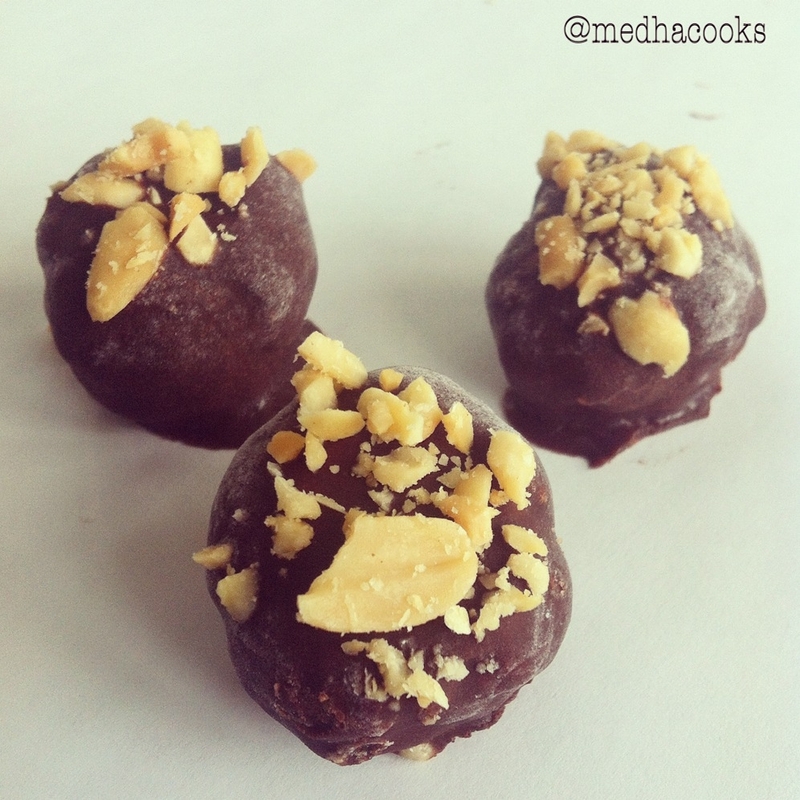 Melt the chocolate and dip the balls in the chocolate. Quickly sprinkle crushed and roasted hazelnuts on top. Serve immediately. Enjoy!